"For Those Who Seek The Power Of Ages, A Sacrifice Must Be Made That Will Shake The World's Foundation. From This Sacrifice Was I Born." - Novalis Eiss, Age 14. 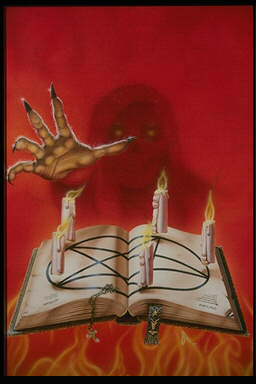 Please allow the Demonic Tome to guide your search through this forgotten realm. Seek out the history of the Devil Lord and learn of the statistics which grant him strength. Learn of your enemies and know your friends, doing so will prolong your existence. All information, characters, and original artwork are copyright ExodusNight™; with the exception of those pictures of a public domain. All information regarding this character is created and therefore copyrighted under the owner of ExodusNight™. The following is not real, it is fantasy, and those offended by such should not proceed.